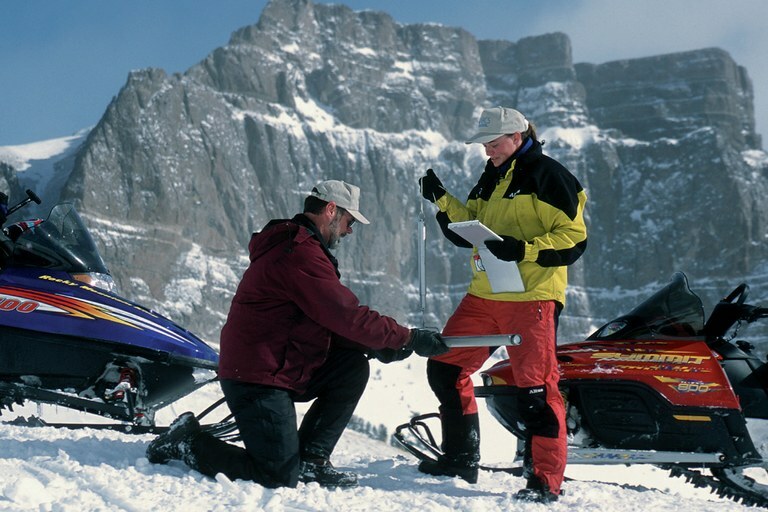 Natural Resources Conservation Service employees gather snow survey data from the Absaroka Mountains in Wyoming. More than 700 SNOTEL telemetry stations — run by the federal government — sit in high-mountain watersheds in 13 Western states, delivering vital data about water supply (“Taking water’s measure,” HCN, 6/13/16). Climate models using SNOTEL data predict a decline in Western snowpack, with earlier melting in spring – together increasing the risk of floods, droughts and severe wildfires.